Associated with the sun, a phoenix obtains new life by arising from the ashes of its predecessor. It is a bird with attitude! 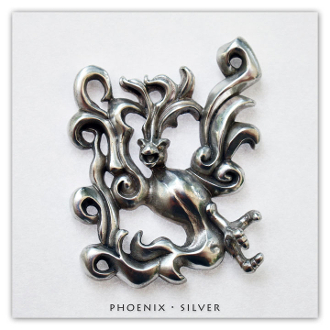 Phoenix is available in solid: Bronze (Yellow), Sterling Silver (925 De-Oxidized), 14k Gold (Yellow) and 18k Gold (Yellow).